Wednesday afternoon, the Big 12 announced it’s season honors. Several Sooners popped up on the list. Dru Samia is in a 3-way tie for the Big 12 Offensive Lineman of the Year. Kyler Murray is the Big 12 Offensive Player of the Year. Lincoln Riley is the Big 12 Coach of the Year. 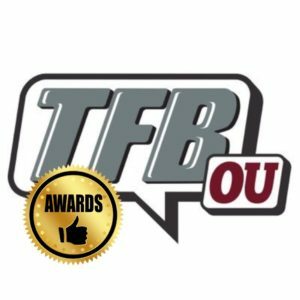 – OU has the most individual awards in Big 12 history with 43. The next closest is KSU at 33. – Kennedy Brooks not getting the Big 12 Newcomer of the Year is a robbery. – One defensive player on a team, and it was second team.